Properties in Cantabria average 4.6 out of 5 stars. Property 67: Apartments for 4-6 people. Casa Rural Josefina for 4 or 6 people. Property 68: Casa Rural Josefina for 4 or 6 people. Property 70: Duplex apartment 2 people. Charming cottage in the valleys pasiegos. Stunning views of the mountains. Property 73: Charming cottage in the valleys pasiegos. Stunning views of the mountains. 15 kms from CABARCENO and 2 kms from LIERGANES. Garden of 1000 meters. Property 76: 15 kms from CABARCENO and 2 kms from LIERGANES. Garden of 1000 meters. SHELTERS OF THE CANDANIUM. ACCESS IN 4X4. FULL NATURE WITH ALL THE COMFORTS. Property 81: SHELTERS OF THE CANDANIUM. ACCESS IN 4X4. FULL NATURE WITH ALL THE COMFORTS. Property 88: A typical Montañesa house in the Reserva Natural del Saja Besaya. Property 89: Cottage for 8 people. Me he quedado tres veces en la Riguera. La due&ntilde;a, Ana, es muy simp&aacute;tica y atenta. El lugar es precioso. 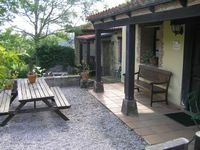 En Ingl&eacute;s: I would recommend this accommodation very highly .A great place to stay and explore beautiful Cantabria. Dogs are made most welcome. See you next year Ana!